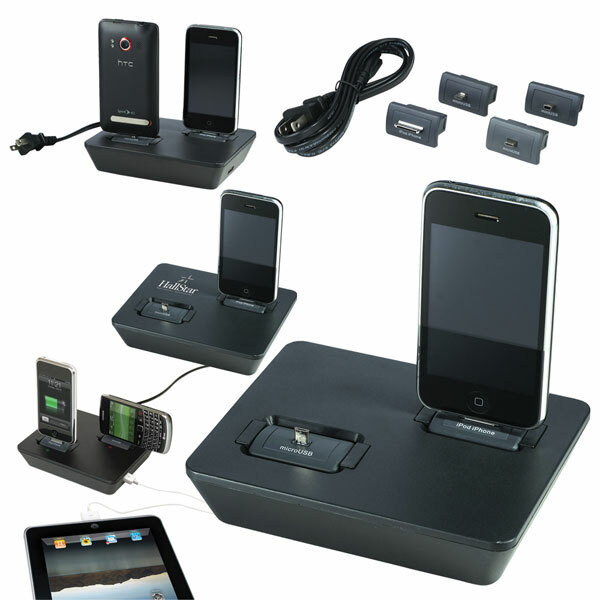 An innovative charging solution that can charge up to 3 mobile devices simultaneously. 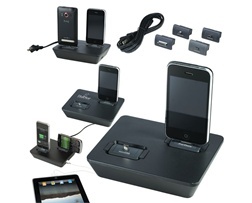 This device is compatible with over 4,000 mobile electronic devices including iPhone, iPod, iPad, Blackberry, Nintendo DP, PSP, GPS systems, digital cameras and Bluetooth products. Tips sit in a white cardboard spacer, power cord is packaged in a cardboard insert with a foam protective inlay over the charger and presented in a 1 part folded brown box with product detials on outside of box. iPad and iPhones/phones not included.